Need to move faster and scale, but afraid of compromising IT? The pressure to deliver solutions in support of initiatives such as mobility and cloud services often trumps keeping mission-critical services stable and reliable. Without a way to simultaneously respond to the demands of the business and IT, industry leaders of today will quickly become the logos of the past. API-led connectivity has become IT’s secret weapon in tackling this challenge. And for CONNECT 2015, we’ve created an opportunity for CIOs and IT leaders to deeply engage with peers and MuleSoft experts and leave inspired, with an understanding of best practices and a list of practical actions that can be taken today. A lively discussion amongst technology leaders and innovators about transformation in various industries through broad shifts in technology and responses to the shifts. Flextronics is a global manufacturing leader of the world’s most amazing technology products. In this keynote, we will hear the perspectives from a practitioner about connectivity as the economic driver of the next decade, new technology game changers and innovation. To make more informed merchandising decisions, deliver superior service and drive deeper engagement, retail and consumer goods companies must ensure an anytime, anywhere relationship with customers, partners and suppliers. In this session, industry leaders share their omni-channel strategies and share best practices and lessons learned. Having an enterprise mobile strategy – once optional – has now become business critical. A panel of MuleSoft customers discuss their experiences delivering mobile apps for customers, employees and partners with Anypoint Platform. Salesforce gives sales teams the ability to access, share and collaborate on customer data; however, companies need integration to enable collaboration between marketing systems outside Salesforce and sales. In this session, you’ll hear how Citrix solves their data flow problem using MuleSoft to integrate Salesforce to all their marketing automation and marketing resource management applications. Supporting apps in the cloud and on-premises can be difficult. With the growing need to connect endpoints in various locations, a Hybrid Integration Platform (HIP) is crucial. In this session, Gartner and MuleSoft provide best practices to accelerate the establishment of an HIP that supports cloud-to-cloud, cloud-to-ground and on-premises integration in your organization. 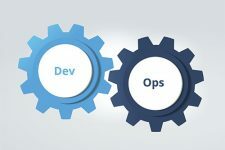 Enterprises have spent thousands of hours and millions of dollars building up infrastructure to maintain control over their data assets with behind the firewall connectivity in the form of SOA, Shared Services, and custom code. In this session, we’ll discuss why they have to consider jumping to APIs and achieving API-led connectivity with a lively discourse from practitioners at Weight Watchers. Don’t miss the opportunity to engage in an interactive discussion with your peers around digital transformation, and learn why an API-led connectivity approach has become IT’s secret weapon.